Many students send emails requesting summer internships at UCL Physics & Astronomy, but one particularly caught Dr Anasuya Aruliah’s eye. Vishal Ray was a 2nd year Aerospace Engineering undergraduate at the prestigious Indian Institute of Technology Bombay, India (IIT). He belonged to a student team building their own miniature satellite. Vishal was just the student that Dr Aruliah needed for her new direction of research: satellite drag. After a successful application to the International Students Dean’s Summer Student Scholarships, he was awarded a 2 month internship in summer 2015. Dr Aruliah’s group, the Atmospheric Physics Laboratory (APL), is a subgroup of the Astrophysics Group. It has a long history of researching the upper atmosphere using a global circulation atmospheric model. They also operate a network of Fabry-Perot Interferometers (FPIs) in Arctic Scandinavia to observe the aurora. The Earth’s atmosphere is like an onion skin, with the troposphere (the domain of weather forecasters), stratosphere and mesosphere as layers on top of each other. The thermosphere is the final layer of the Earth’s atmosphere, and is the altitude region between 90-400km. Low Earth Orbit (LEO) satellites occupy the top of the thermosphere, and rely on upper atmospheric models to predict their orbits. 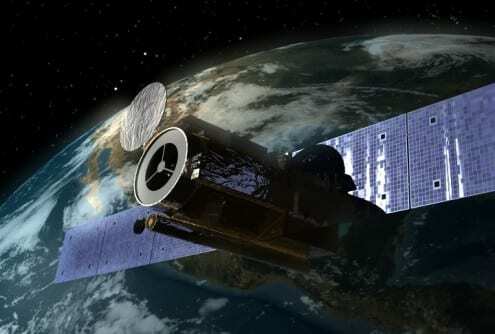 Recently the APL group found a discrepancy between measurements of thermospheric winds calculated from Doppler shifts of airglow photons, and winds determined from atmospheric drag on the Challenging Minisatellite Payload (CHAMP) satellite. This is an important puzzle to solve because satellite drag measurements are put into atmospheric models to bring them as close to reality as possible. If the ground and satellite measurements do not agree, then which is correct? 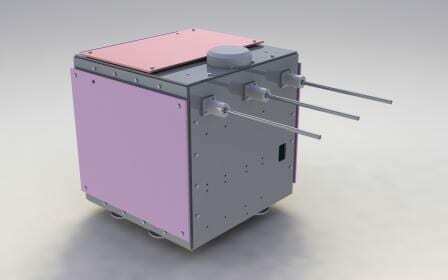 The IIT miniature satellite, commonly called a cubesat, is composed of a single cube, only 30 cm in length, width and breadth, and weighing only 10 kg, as much as a few bags of sugar. Their cubesat is called Pratham. This fits perfectly with UCL’s involvement in the European Union FP7-funded QB50 project, in which fifty cubesats carrying miniaturised sensors will be launched nearly simultaneously. This is an international collaboration involving many universities, academic institutes and the space industry. It is an unprecedented science operation, with potential for future Space Weather monitoring campaigns. The QB50 cubesats will be carried by rocket into the upper thermosphere, and fall to Earth in decaying orbits while sampling regions of the thermosphere and ionosphere that were previously poorly understood owing to the lack of detailed measurements. “The simplicity and low cost of cubesats has spurred much excitement and creativity amongst young (and old) engineers and scientists over the last few years. There are new frontiers being opened by this miniaturised space technology,” said Dr Aruliah. 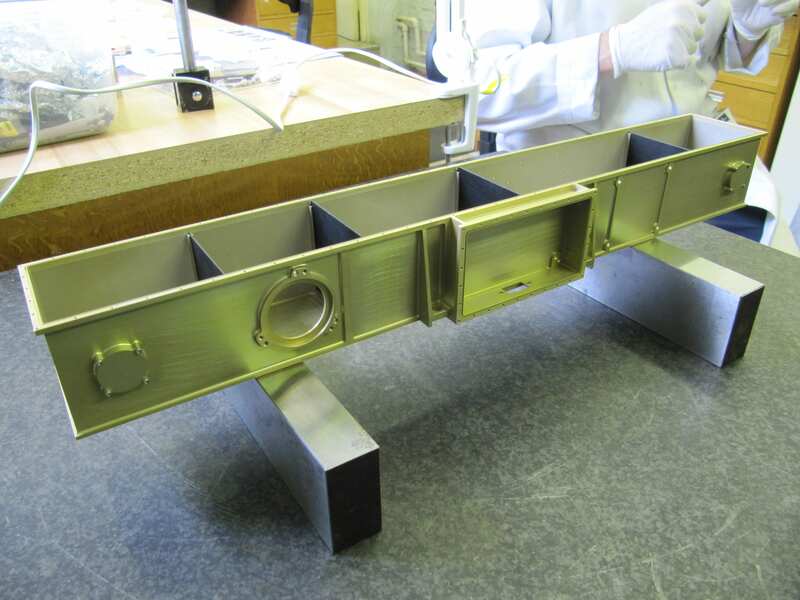 The UCL Mullard Space Science Laboratory (MSSL) designed and built one of the three key sensors: the Ion Neutral Mass Spectrometer, which will be carried on several of the cubesats, as well as their own cubesat called UCLSat. The QB50 cubesats are scheduled for launch in three batches over the winter period of 2016-2017. Two batches from a Ukrainian-Russian Dnepr rocket, and a third from the International Space Station. During Vishal’s internship at UCL he met with the MSSL cubesat and sensor team, led by Mr Dhiren Kataria and Dr Rob Wicks; and with Dr Stuart Grey in the UCL Department of Civil, Environmental & Geomatic Engineering. Vishal used his experience to write several sophisticated computer programs to calculate drag coefficients from simulations of a cubesat orbiting in our 3-dimensional atmospheric model called CMAT2. This work was subsequently built upon by Dr Aruliah’s 4th year project student, Jennifer Hall. Jennifer wrote her own programs to derive and compare satellite drag coefficients from CMAT2 simulations and EISCAT radar measurements. Jennifer’s project won the UCL Physics & Astronomy Tessela prize for best use of computer technology in a 4th year project. Pratham team at the Indian Institute of Technology Bombay. Vishal Ray is 2nd from the right in the top row. One year on, after a busy 3rd year of studies, Vishal has written up his summer project as a journal paper, and “Pratham” was scheduled for launch at 0530 UTC on the 26 September 2016. The IIT Bombay student team installed their cubesat on the launch vehicle PSLV C-35 on the remote island of Sriharikota in South India. Vishal said that he “…had goosebumps when we actually placed the satellite on the launch vehicle module and completed the testing for one last time!”. “Pratham” was successfully launched and will measure the total electron count from 800 km altitude in a Sun Sychronous Orbit. MSSL were the first to receive Pratham’s beacon signal, which the students were incredibly excited to hear. You can hear the cubesat from 4:20 onwards as it passes within range of the detector at MSSL. The signal is decipered as “Pratham IIT Bombay Student Satellite”. The accompanying image is of Theo Brochant De Viliers (MSSL) beside the MSSL receiver. The prospect of finally being launched is very exciting, with both projects having been nearly 10 years in the making. Once launched, the missions will change from the technical challenges of the innovation of miniature sensor devices to the scientific challenges of collecting, analysing and interpreting the measurements. The rewards will be great: from the new technologies surrounding cubesats; to the training of future space scientists and engineers, and to the Space Weather community. Giotto at Halley: 30 years ago! It was the year of the tragic Challenger disaster – but UCL-MSSL was making good news in space and making history too. 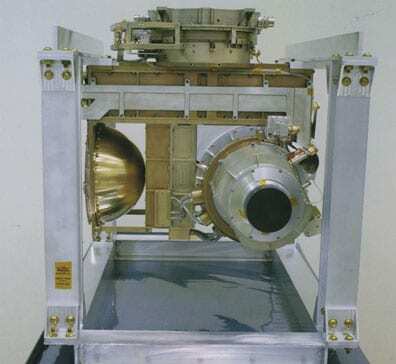 The Giotto spacecraft carried 10 instruments, including one led by UCL-MSSL just 596 km (MSSL-ESOC!) from comet Halley on the night of 13th/14th March, with some spectacular results. Giotto was ESA’s first solo interplanetary space mission, launched in 1985 on the penultimate Ariane 1 rocket. In many ways ESA itself can be thought of as ‘coming of age’ with this first bold step on its own out of Earth orbit. 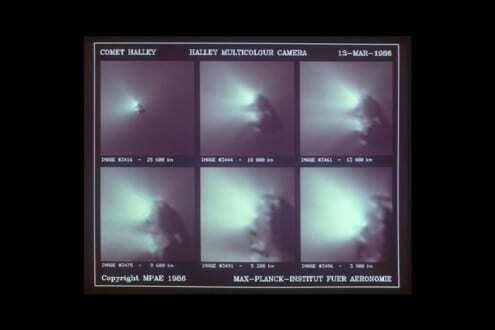 To date, Giotto collected the most complete set of data we have from a comet – the famous comet Halley. The Royal Society has recently unveiled a bust of Lucie Green to join their collection of eminent scientists. Lucie is Professor of Physics at UCL’s Mullard Space Science Laboratory, an expert on the sun’s magnetic field and frequently appears on TV as a presenter or guest on space and astronomy programmes. The universe is not smooth. Stars are clumped into galaxies. Galaxies are bound in clusters. 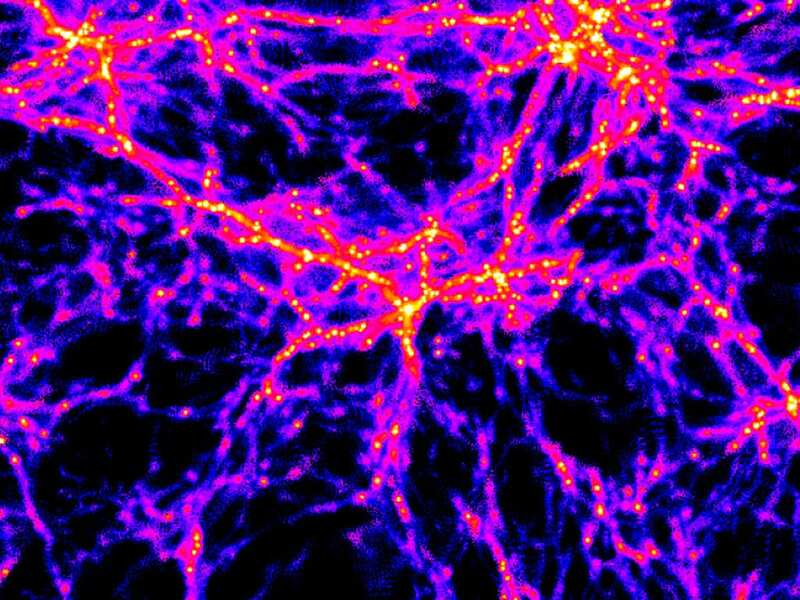 And the clusters follow a vast universe-wide web of dark matter filaments, with huge voids between them. Seeing how this web has changed over galactic history is one of the holy grails of astronomy. Astronomers now know that the universe is not only expanding, but is doing so at an ever increasing rate. The driver for this expansion, dubbed ‘dark energy’, however, is still a mystery. 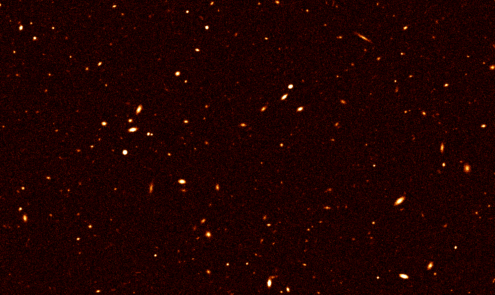 Even its most basic properties, such as how it has affected the structure of the universe over time, are the subject of continued scientific debate. If we could turn back the clock, and see snapshots of the how the universe looked at stages throughout its history, we would take a huge step closer to understanding dark energy. Fortunately, two major projects currently under way are doing this: the Dark Energy Survey (DES) and the Kilo Degree Survey (KiDS). UCL scientists are closely involved with both, and the KiDS project has this week released its first data. 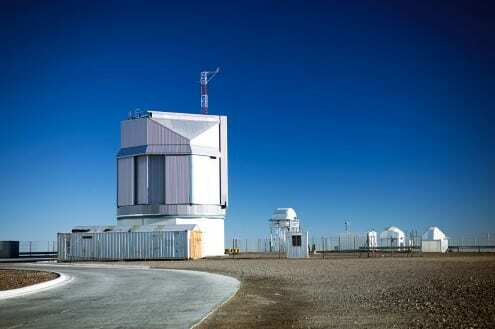 Over the next few years, KiDS will use the ESO VLT Survey Telescope in Chile to produce a detailed colour image of 1500 square degrees of sky (equivalent to a square 80 times the height and width of the full Moon). A parallel project will map the same area in five wavelengths of infrared light. 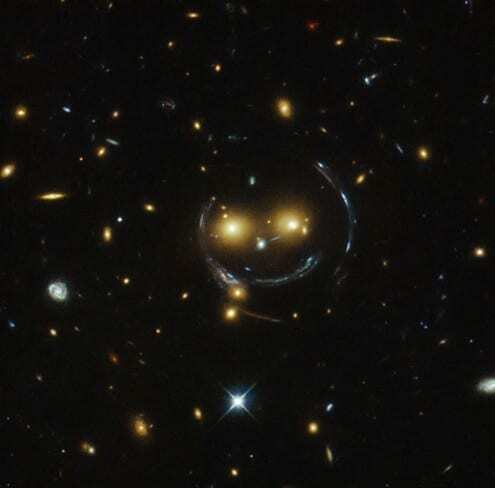 As light from distant galaxies and quasars passes through the cosmos, its path is slightly bent by the gravity of objects in the foreground, an effect known as gravitational lensing. Scientists can use these subtle distortions to map where the mass is located in an image – revealing the location not only of the mass of the visible galaxies, but of the dark matter. Dark matter, as its name suggests, neither emits nor reflects light, so its presence can only be inferred from this type of painstaking detective work. This week’s first data release from KiDS only covers about a tenth of the total area of sky that will be studied in the project, but it has already produced its first useful maps of the location of dark matter. The next step is to move back through time. This is difficult but not impossible. As the universe expands, it stretches the waves of light that pass through it. The further away you look, and the further back in time you see, the redder this makes the objects appear. KiDS, along with its infrared counterpart, will record the colour of each object through nine different coloured filters – giving enough information on the colour profile to estimate the distance of each galaxy. Through this, it will be possible to dial back time, observing the distribution of mass at various points going back through time, charting how the size and structure of the dark matter filaments has changed throughout cosmic history. Current theories about dark energy suggest that we should see structures rapidly growing in the early universe, with this gradually slowing down over time – and KiDS will help test whether this is indeed the case. UCL is involved in KiDS through Benjamin Joachimi, Edo van Uitert (both UCL Physics & Astronomy) and Tom Kitching (UCL Mullard Space Science Laboratory). They work mainly on analysing the gravitational lensing effects detected in the survey. 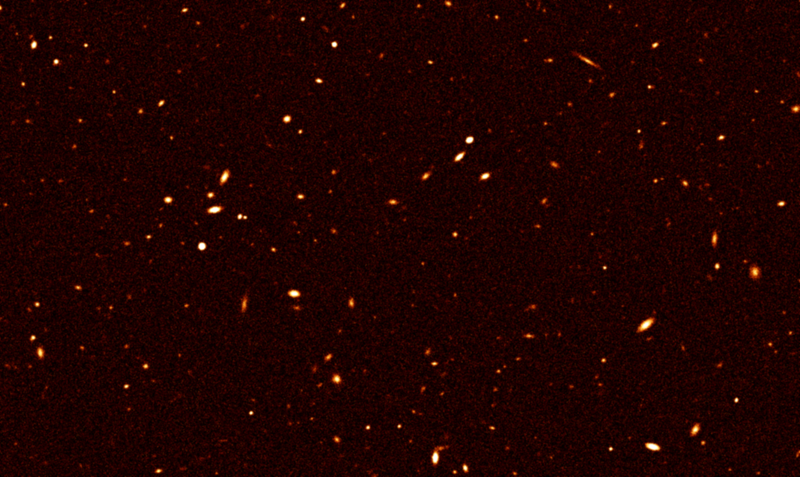 These lensing effects can be quite dramatic – high resolution images of large galaxy clusters taken with the Hubble Space Telescope show dramatic distortions in the shapes of background galaxies. But in most cases the effect is actually very subtle – a tiny modification of the shapes of thousands of galaxies, which appear as barely more than dots in the background. For each one of these dots, it’s impossible to say whether the shape it appears to us is down to it genuinely being slightly flattened – or whether this is a result of the light from the galaxy being distorted by gravitational lensing. But if you look at thousands of galaxies, you can tease out the statistical likelihood – for instance, if thousands of galaxies all appear flattened in the same direction, it’s likely to be because an unseen mass of dark matter is distorting them all in the same way. 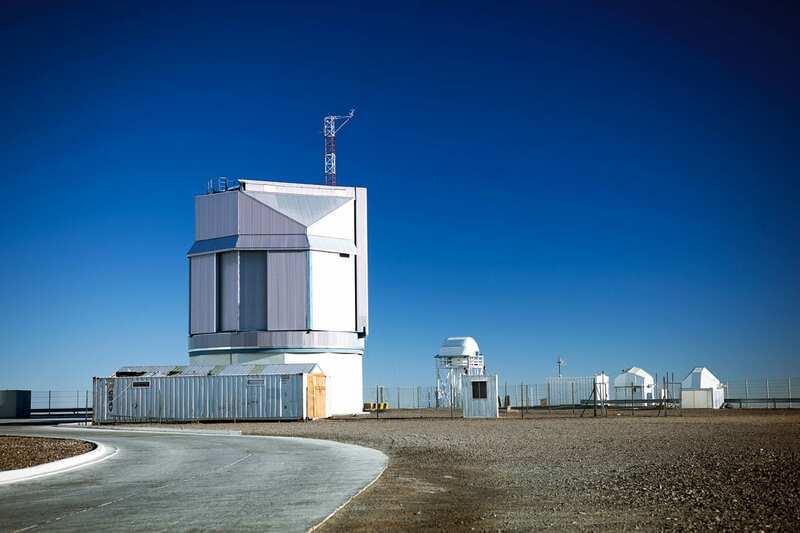 These measurements rely on extremely accurate modelling of how the telescopes work and of precisely how lensing effects occur – to the extent of even producing dummy data to test their assumptions and calibrate the observations. The primary goal of the KiDS project is to find out more about the evolution of the cosmos and to test the laws of gravity and general relativity. KiDS is in friendly competition with the Dark Energy Survey to do this. To an outsider this might look like a waste of resources – but this is the cutting edge of cosmology and in truth nobody really knows what we will find. If both KiDS and DES come up with the same result, despite their different telescopes, detectors and methods, then we can have some confidence that the conclusions are accurate. Of course if they don’t, then we’re back to square one. But at least we’ll know that we don’t know. The Cassini probe launched in October 1997 and arrived in the Saturn system in July 2004. Its Huygens lander touched down on Titan, Saturn’s largest moon, in December 2004. The photo above shows the spacecraft shortly before launch. More than a decade on, the probe is still sending back data, teaching us about Saturn and its moons. 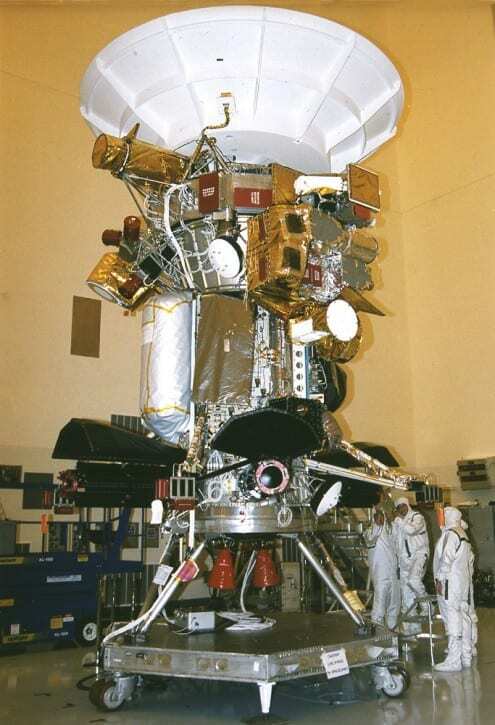 One of the instruments on board, the Cassini Plasma Spectrometer (CAPS) was designed in part by Prof Andrew Coates at UCL’s Mullard Space Science Laboratory. This week, he has published new research based on data from his instrument. He has found that the interaction between the Sun, magnetic field lines and the atmosphere of Titan – Saturn’s oddly Earth-like moon – behaves similarly to what we observe here on Earth. 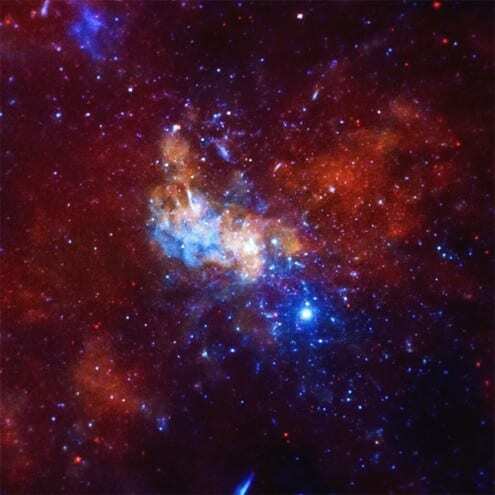 This image shows the centre of the Milky Way galaxy, as seen in X-rays by the Chandra X-Ray Observatory. X-rays are produced by high-temperature, high-energy phenomena. Within this region lies Sagittarius A*, the Milky Way’s central black hole. An international team of astronomers, including UCL’s Silvia Zane, has just published new research on a magnetar (a type of super-magnetic neutron star) that is orbiting Sagittarius A*, explaining why it is cooling far slower than theories suggest. Hello, I’m Tom Kitching, a cosmologist at UCL’s Mullard Space Science Laboratory. My research involves using the distorting effect of curved spacetime on the images of galaxies to map dark matter in the Universe. In some new research, my collaborators and I have pinned down the nature of dark matter to an unprecedented level of accuracy. Dark matter is a substance that fills the Universe, and accounts for nearly 95% of all matter that exists – but we have no idea what it is. 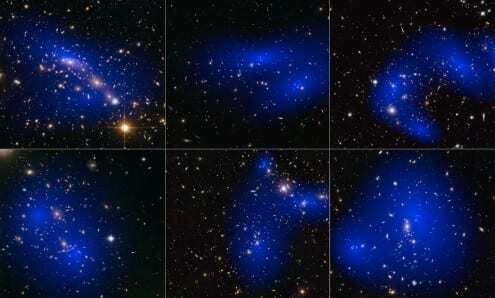 The name dark matter is however a bit of a misnomer. Dark matter is in fact transparent and doesn’t emit or absorb ordinary light at all. However it does interact with light in a very special way: its gravitational pull bends the light rays around and through it, in a similar way to how a magnifying glass does. Our new research out now uses that bending effect, known as gravitational lensing, to make maps of dark matter around galaxy clusters. Galaxy clusters are particularly interesting places because dark matter, galaxies, and hot X-ray gas are all being smashed together as the Universe evolves. What we observe is a snapshot of these collisions, which are the biggest most energetic collisions in the Universe. By mapping the different components of these collisions we can determine the physical properties of the dark matter. To date this approach had only ever been applied to only a few clusters of galaxies. In our research we applied to this to 72. With this very large sample we determined that dark matter has to exist in galaxy clusters with a probability of 100,000,000,000,000:1. This is the most definitive detection of dark matter ever. Using this very information rich data set we managed to measure how dark matter interacts with its self: a property known as its cross-section. The cross-section measures what happens when two particles bump into each other. From the Earth we can test whether dark matter bumps into ordinary matter and what happens, which gives us clues to what dark matter is. 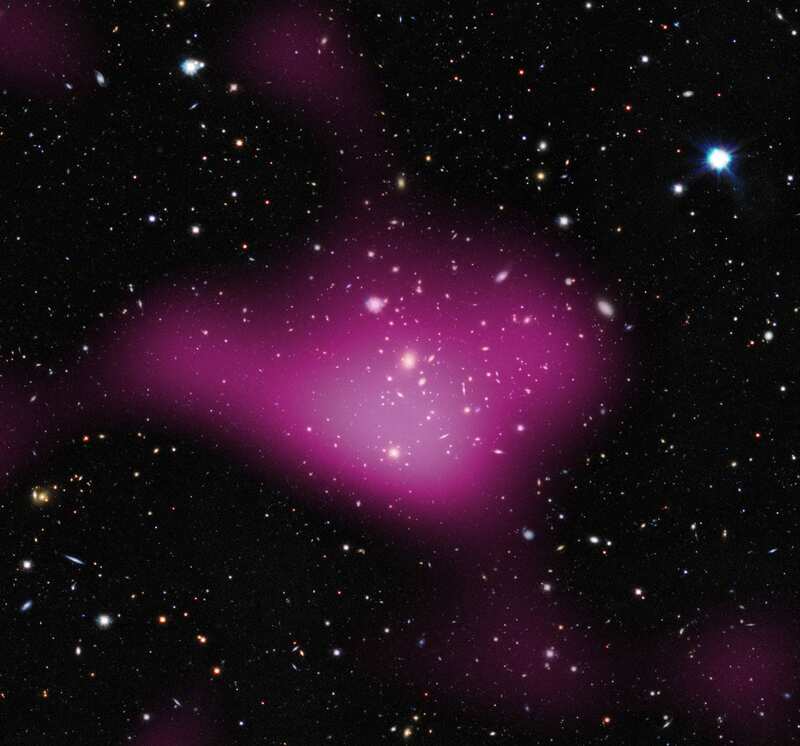 But it’s only in space, around galaxy clusters that we can test what happens when dark matter bumps into itself, a crucial piece in the puzzle. By using this data we measured the cross-section to be smaller than previous experiments. The Solar Orbiter project has moved a step closer to reality, with the completion of its structural thermal model (STM) this month. 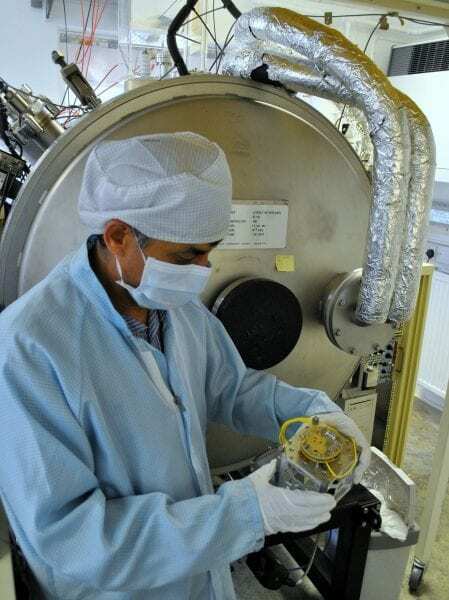 UCL is heavily involved with this European Space Agency mission, with the university’s Mullard Space Science Laboratory leading the development of parts of its scientific payload. 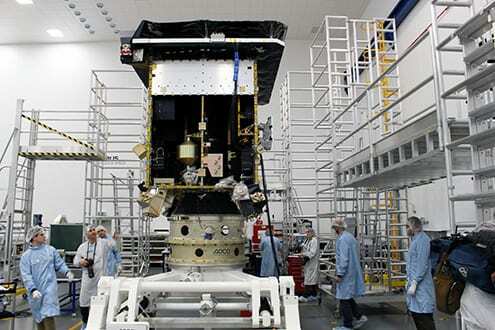 The spacecraft is being built at Airbus Defence & Space in Stevenage, just north of London. The STM is a full-scale model of the spacecraft, which is used for extensive pre-flight testing. Its appearance, structure and design are virtually identical to what will launch in 2018 – the main difference is that the delicate (and costly) electronics are replaced by dummy components that mimic their physical size, weight and properties. 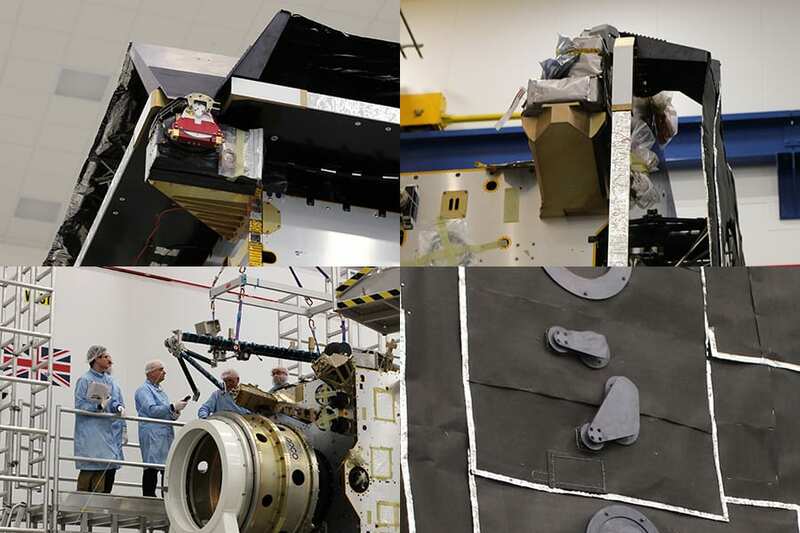 The extensive pre-flight testing, covering potential hazards such as vibration, G-forces and heat resistance (crucial for a solar mission) will be carried out on the STM, to identify potential issues with the flight model before it’s too late. UCL leads the development of two of the scientific instruments that will fly on board Solar Orbiter. The Extreme Ultraviolet Imager, with Louise Harra as a co-PI, will image the atmosphere of the Sun, which is heated by our star’s magnetic field. The solar atmosphere is far hotter than the Sun’s surface – an apparent paradox – and Solar Orbiter will aid scientists in their efforts to shed light on precisely why this is. The Solar Wind Analyser, led by Chris Owen, will study the particles that make up the solar wind. The solar wind is a constant stream of charged particles churned out by the Sun and blown out into the far reaches of the Solar System. It cannot be studied from the ground, as the particles are deflected by the Earth’s magnetic field. 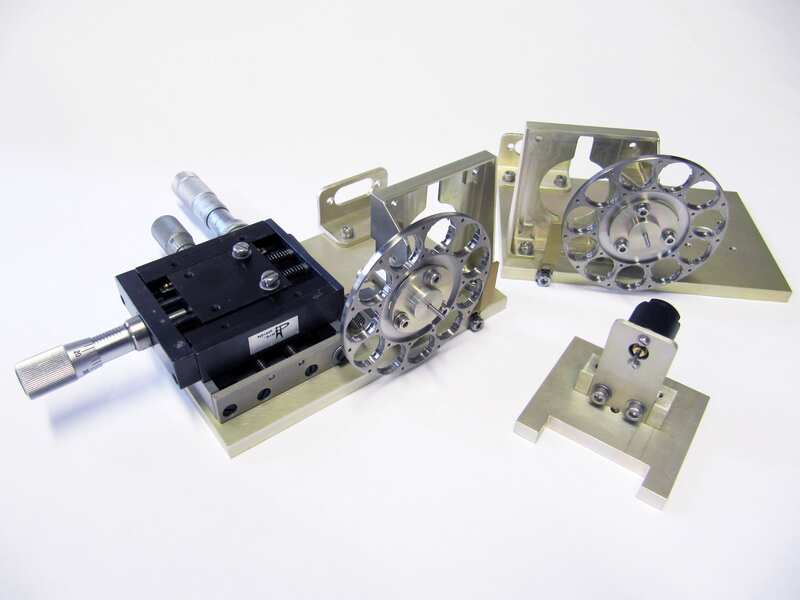 Dummy models of the scientific instruments UCL is contributing to on the Solar Orbiter STM. One of the unique features of Solar Orbiter, over all other solar observation missions to date, is that it will give an unprecedented perspective on the Sun. During its mission, it will use Venus fly-bys, each time getting a small nudge from the planet. This will gradually move Solar Orbiter out of the plane of the Solar System – where Earth and all the other planets lie – and by about six years into the mission, it will be in a position to look down onto the poles of the Sun. These have never been seen before, and they are crucial to understanding the Sun’s magnetic field. Solar Orbiter will also fly telescopes closer to the Sun than any spacecraft before and be able to observe features such as sunspots evolve for weeks at a time, thanks to an orbit that follows the rotation of the Sun. Solar Orbiter will fly inside the orbit of Mercury, at barely over a quarter of the Earth’s distance from the Sun. This means extremely powerful Solar radiation, bright light and intense heat. Part of the engineering challenge of building the spacecraft is its heat shield, which protects Solar Orbiter’s delicate electronics, shielding them from temperatures of 600 degrees and keeping the internal temperature down to a much more manageable 60 degrees. The instruments can poke through small openings in the heat shield so as to observe the Sun’s surface without being fried. 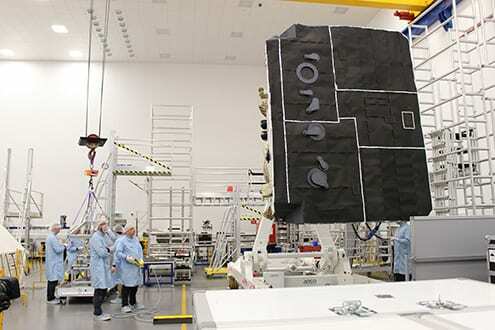 Solar Orbiter is scheduled for launch in 2018. The launch vehicle will be provided by the United States. Like many space missions, this is a project of international cooperation. The life of a spacecraft can be a difficult one. It’s made even more challenging with the amount of space debris that exists. The debris comes from a range of sources – mainly old satellites and rocket stages. Using radar techniques the debris is monitored, with over 22,000 pieces that are bigger than 10 cm wide currently being tracked. There are probably millions of bits smaller than this that can also cause damage. Hinode was launched in 2006, and had previously made one spacecraft manoeuvre to avoid debris. This was back in March 2012. This debris-avoidance manoeuvre (known as a DAM) involved changing the orbit of the spacecraft by using the thrusters. The instruments onboard were put into a safe mode and stopped operating during this time. In January 2015, preparations were made for a possible DAM on 19 January, but as the time approached it was possible to cancel the DAM as the collision probability became low enough as the orbit prediction was revised. On 26 January another piece of debris was deemed to have a high risk of collision and the DAM was set into motion. The instruments were put into safe mode and stopped operating over the weekend. The spacecraft did not have to carry out the manoeuvre in the end, and after the close encounter the spacecraft was safe and is in its usual orbit. The instruments will start operating normally once again on 29 January. Space debris is an ongoing and increasing problem, and no doubt more of these alerts will be coming in future. UCL’s contribution to the ExoMars Rover – the European Mars mission scheduled for touchdown in 2019 – is gradually taking shape. Quite literally. This photo shows a prototype of the main structure of the panoramic camera (PanCam) instrument being machined out of a block of metal. 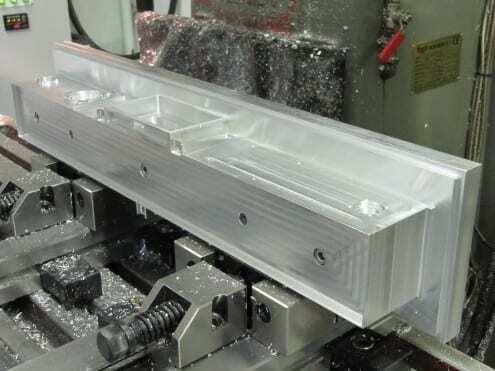 PanCam will be the rover’s primary camera, producing high resolution 3D images of the Martian surface, and it is being being built by scientists and engineers at UCL’s Mullard Space Science Laboratory. The structure is known as the ‘optical bench’. All the precision-built optical components, including detectors, lenses, mirrors and filter wheels (below), will be attached to this rigid housing.